March 27, 2015. The lunar eclipse of April 4, 2015 has delivered an acquittal (for the murder charge of Meredith Kucher in a very long, drawn out saga) for Amanda Knox and Raffaele Sollecito. Transiting Sun conjunct her north node in Aries in the 11th house. Transiting Mars in Aries conjunct her natal Jupiter in Aries in the 11 house. Transiting Pluto in Capricorn in 8th house opposition natal Sun in Cancer in 2nd house. Transiting Uranus in Aries in 11th house trine natal Saturn in Sagittarius in 7th house. Do you have a sense that there’s a lot more than usual floating around and that it could go in any direction? It’s the super new moon solar eclipse in action. The moon moved into Aries just about one hour after this morning’s eclipse and the Spring Equinox occurs at 3:45 pm PDT today. By tomorrow, Saturday (Mar 21) the Aries moon will trigger plenty; it will trine Jupiter, square Pluto, and form occultations to Uranus and Mars. Put that together and it most definitely spells GO time! We’ll now draw from an especially vibrant and fertile create force. Watch for the eclipse to stay especially triggered for the rest of the month and to stoke a good fire through the first half of April and the entire spring season. The best way to work with the now is to sense and feel your way along, to stay open, willing, and bold enough to dream it bigger, to envision the new reality your heart and soul desires, to explore outside of the box, to let inspired passion ignite the risk taker in you, and to ride the strongest wave that appears. Should the eclipse opens up something difficult – if it hits you with loss or something jarring, allow time to carry you forward, it will. It isn’t about what you’ve lost but about what you will eventually gain. It’s much more than you can see right now. Although you may not be able to fathom it now, It will eventually prove to be a gift. On March 1, Mercury in Aquarius will complete a long delayed opposition with Jupiter. They were very close to making this aspect back on January 21, but just before the mission could be accomplished, Mercury reversed his course. It’s the reason you may have felt stymied or waylaid, that you’ve wrangled your way along a track of just-out-0f-reach or almost-but-not-quite ready or there yet. That will now change. Starting with the Mercury/Jupiter take-flight transit on March 1, March and April are hotwired for action. Jupiter and Uranus align by trine on March 3. This marks the midway point of a one year growth, mobilization, and acceleration cycle. The first of three Jupiter/Uranus trines happened on Sept 25, 2014, the last will occur on June 2. Each one of these three dates marks a peak in the cycle. A trine between Jupiter and Uranus can make for excellent synchronicity, opportunity, and luck. Together they will stimulate, excite, awaken, upgrade, mobilize, emancipate, and liberate. The transit is one of growth and/or of growing beyond. Jupiter/Uranus sparks fresh life where-ever it goes. The transit also boosts confidence, creativity, inspiration, courage, independence, risk taking, modernization, and reinvention. Jupiter/Uranus will also mobilize the weather, social trends, speculative markets, protests, politics and hot button issues. A trine aspect is one of ease, it allows for whatever is building to gain a better, stronger wind. It is a reason that radicalization, social contagion, disease, or epidemics can become more wide-spread. When Jupiter/Uranus hit the first trine back in September of 2014, Ebola was a growing concern. Just a week later, Thomas Eric Dunn, the first reported patient case in the USA, died. While this Jupiter/Uranus transit has been on the move, ISIL has been too. Although the Jupiter/Uranus transit is optimized on March 2/3, the window of opportunity is not fleeting. Jupiter and Uranus will continue to facilitate one another through mid August, so expect for life and opportunity to stay well energized. March 5 delivers a full moon in Virgo. Watch the day before for major action regarding money, survival, social justice, politics, and relationship matters. Venus trine Jupiter can make for an especially lucrative, fresh, or happy-making go of it, but Venus conjunct Uranus and square Pluto can also trip a short fuse. March 4 can produce a time is ripe, or time has come day. On March 11 Mars triggers both Uranus and Pluto. The day’s offerings could fall in the category of quite unexpected, abrupt, volatile, or eruptive. Saturn begins a four-month retrograde tour on March 14. The retrograde cycle can knock a wall down and/or redirect priorities. Inwardly and outwardly, Saturn retrograde can call under question how you frame it or legitimize it. Dealings with authority and the system also come under review. Saturn retrograde in Sagittarius calls for more questioning regarding what you/we know, believe, and/or accept as fact, as reality, as the only way. March 16, just two days after Saturn turns retrograde, Uranus squares Pluto for the seventh and last time since the acceleration cycle started in 2012. It doesn’t end there though. Uranus/Pluto will continue to stay on task through 2015 and the first half of 2016. As you must know by now, when it comes to the bring it up to speed reality upgrades, this is a leave no stone unturned cycle. March 20 brings the first eclipse of the year. It is a super new moon, and a solar eclipse at 29 Pisces. The Vernal Equinox occurs just over 12 hours later. At the last degree of Pisces and ending at the North Pole, this eclipse raises the attention of the masses and stirs the tides of collective. This super new moon eclipse can bring something of significance to culmination or it can seed with greater potency. Note that beyond all things to do with water and oceans, Pisces is also the sign attributed to oil. Mars conjunct Eris, the goddess of discord, suggests the eclipse can fire up some kind of fight, competition, politics, initiative, or forward thrust. Also, a solar eclipse usually heralds a notable birth or death, or a major action time for someone of prominence. One way or another, March springs you into action. Thanks to Venus, Mars, and Uranus in Aries, you’ll find yourself on a lively fast track. March 2, 3 are fortuitous, perhaps even exceptional, create-it dates. The second week of the month is also a get-the-show-on the-road time. You should do quite fine regarding confidence, creativity, know how, and rapport from March 8 to March 10. March 11 anything goes. You could make an exciting breakthrough or discovery, but it also a hot-button or accident prone day as Mars forms a conjunction to Uranus in the morning and a square aspect with Pluto in the evening. Watch for hot triggers and as best you can, stay out of the line of fire. March 14 to 16 is another turning point, or shift of priorities or objectives time. March 20 and 21 sets you on another fresh page go. Be your interest along a material, career, or heart-centered track, you are most definitely ready for something fresh and new to sink into. Whether it takes you by surprise or whether you have set your timer on it, Mercury’s opposition to Jupiter on March 1 could spring it/you free. A new career trajectory, home or personal life chapter could be a radical departure from what you’ve known, but it is one that you’ll recognize as a vast improvement. Look to Venus, Mars and Uranus in Aries to keep you fired up and to keep the action going strong for at least the first half of the month. Even so, to a large extent, there’s more hidden from view than is riding on the surface. If you have any health concerns, check in with a professional. Should you have an inkling that things aren’t up to snuff, don’t down play your intuition, especially regarding the tools, equipment, vehicles, or relationships you need to keep life up and running. March 4 can pile it on thick. Whether it’s an unexpected shove or a welcome opportunity, this day may provide the push you need. The full moon in Virgo on March 5 can provide an opportunity to correct, fix, or heal, to fill it in or top it up with something better. At the very least, it can offer you a fun night out. Saturn’s turn to retrograde can prompt you to get a better rein on finances or yourself. Watch for the solar eclipse of March 20 to jettison you into your future and to distance you from your past in some significant way. Look to attraction planet Venus in Taurus, March 17 to April 11, and action planet Mars in Taurus, Mar 31 to May 11, to refresh and replenish you. The next two to three months provides you with a lot more to work with and toward. March opens with Mercury, your ruler, on a great take-flight trajectory. Take a risk on a new adventure – it could be your “it” ticket. Go independent; explore a new lifestyle, belief system, or education track; say hello. Synchronicity can deliver big. The transit could surprise you with news, a visitor, an opportunity, discovery, or windfall. Jupiter’s trine to Uranus on March 3 can dish up something social or eventful. Venus and Mars in Aries will also keep it fresh and lively. Look around, you’ll find plenty of fresh prospects on the market. Stay alert for the unexpected March 5. The full moon could necessitate a home repair, a renegotiation, or another search. To the plus, the full moon brings the opportunity to make a necessary and opportune upgrade, correction, or repair. There’s also a potential to negotiate a better bargain. A new relationship or money making venture can fire up and/or move to the next level quite quickly. If it’s meant to be, you’ll know it right off the bat. Off with the old, on with the new, you’ll hit a faster speed track as of now. Mercury’s opposition to Jupiter on March 1 heightens self awareness and sees you gain on yourself in some major way. The transit also prompts you to be more of a risk taker and/or to cut cords where it does you the most good. The first week of the month could dish up something unexpected and timely. It could be a big money week. Too, you could find yourself let off the hook or sudden set free. A single moment could be the “it” moment that changes everything. Impulse or impulsiveness can strike. It’s good when it loans you the courage to do what is in your higher interests, but make sure you keep a thought to safety and avoid a foolish risk or you could end up with a hefty bill. This Mercury/Jupiter transit could also see someone enter or exit your life in a striking way. Venus and Mars in Aries egg you on to fight a good battle on your own behalf. Along with Uranus in Aries at peak with Jupiter, the month’s start is an ideal time to go independent or to launch your own business. Extending an opportunity trine with Uranus through July, Jupiter in Leo gives you more resources to work with and will continue to boost your confidence and success ratio through August. A new career undertaking or investment holds lucrative promise. Of course, given the set up of the stars, it could have the look of life happening to you rather than you choosing it; either way, the job gets done. Uranus, Pluto and the rest of the gang are determined to open you up to a new life. March 9 requires that you hit the ground running. March 11 can be a day of high stress, sudden disruption, or conflict. Try not to be overly reactive or to stand in the line of fire. You’ll have maximum fire power through the first few days of the month. Mercury/Jupiter puts life on the runway of radical departure, springboard, or take flight. It’s an eventful, perhaps even momentous time. Something or someone could light a fresh spark, make a big impression, or change everything for you. Thanks to the transiting moon in Leo making a stack of optimal aspects, March 2 could prove to be your Midas day. Jupiter in Leo is optimized by synchronicity planet Uranus on March 3, attraction planet Venus on March 4, and action planet Mars on March 9. Make the most of it while the getting it so good. Know that your opportunity is not fleeting. Jupiter and Uranus will continue to keep the window open through August. The effect of the solar eclipse on March 20 is already energized. Watch March 21 for another forward thrust peak. Busy days continue. March 1, Mercury’s opposition to Jupiter can bring a major release, major breakthrough, and/or kick start something more. You should be able to work it out much better from here. Mercury/Jupiter awakes and enlightens; it will get you much better clued in and/or point you in the direction of a much better solution, process, or job opportunity. Your health can hit a major upswing too. Don’t hesitate to try an alternative method, procedure, or path. The days preceding the Virgo full moon on March 5 stack all the bases. There’s opportunity to create, to act, to correct, improve, gain advantage or a whole lot more. March 4 sends you into action and sees you move past a significant threshold. This can be a leap of faith or a push come to shove day. From this point forward, there is no turning back. Mars trine Jupiter on March 9 continues to prompt big steps, risk taking, and initiatives. It’s all or nothing time. March 11 can be confrontational or sudden catapult day. Mars/Uranus is an accident prone and reactive combination. Keep alert, keep a lid on. Saturn’s turn to retrograde on March 14 can help you to get a better handle on whatever has escaped you or mushroom beyond your control. The solar eclipse of March 20 offers another fresh start opportunity for personal or intimate relationship matters and finances. Venus in Taurus, starting March 17 and Mars into Taurus, starting March 31, also help to confirm or solidify the direction forward. Venus and Mars in Taurus will help you to you to get a better, steadier handle on it all. Mercury’s opposition with Jupiter on March 1 could be a headline-making, excitement generating, or raise-the-bar day. The transit makes for great synchronicity, travel, entertainment, brainstorms, discovery, or finds. A tradeshow, conference, workshop, social or sports event is sure to deliver the goods. Perhaps there’s something extra special to do, or someone extra special to spend time with. An introduction, first stab at it, or creative endeavour can deliver big. A goal or crusade can arouse the passionate warrior in you. The good roll will continue through the first few days of the month. Luck, opportunity and create-it potential is at peak on March 2 and 3. March 4 and 5 can also deliver but there can be more to solve or work out; added expense, stress, or complication is likely. Planned or not, March 6 to 12 can put you on the go. There’s more than the usual to contend with, especially on March 7 and 11. March 12 to 16 is a switch track time. March 20, 21 is another springboard time, especially for those born Sept 22 – 24. March stars are built for speed. Mercury/Jupiter on March 1 is a hit-the-ground running transit. A new address, home life, or career track is ideally timed. Expect to find yourself on a rapid learning curve. Too, start of the month could put you in the limelight and/or bring special attention your way. A new line of work or work project, a new procedure, equipment, technology, contract, marketing campaign or social network can be your golden ticket. The full moon on March 5 could bring something unexpected. No matter how it shapes up in the moment, it is an advantage. There’s an opportunity to correct or improve upon, to fill in a missing blank, or to pick up where you left off. March 9, show the person in charge just how gun-ho you are. It’s a great day to push for what you want and/or to go the extra mile. There’s plenty riding on it from March 11 to 17. This can be a breakthrough or redirect time. Too, as Saturn turns retrograde, it’s time to take what you already have amassed or learned, and rather than keep adding or searching, to pull back and/or to work it from there. Too, allow for the stars to top it up or to pull back the curtain. They may want to you take-on something else. March 20 and 21 can also thrust the action switch. 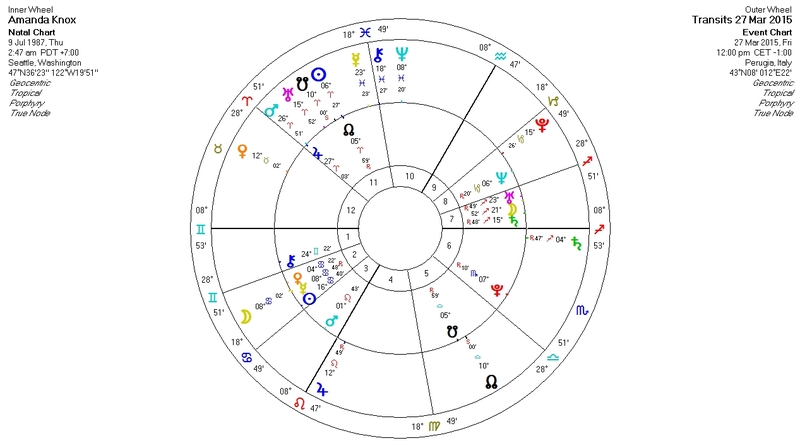 Regarding work, health, studies, and personal improvement, the new moon eclipse will be a more influential catalyst if you are born around Nov 22. March can start on a great high note! It’s your time to go, do, be, embrace, and to bask in the sun. Mercury’s opposition to Jupiter, Jupiter’s trine to Uranus, Venus and Mars in Aries keep you top of your game and/or put you in the game in some dynamic way. March 1 to 3 could deliver a windfall, wonderful synchronicity, excellent news, or an irresistible opportunity. March 4, 5 could produce more than you anticipate. It’s a mixed bag but ultimately you stand to gain. The week of March 9 is also mobilizing, thanks to Mars in high gear. It can be a good week to travel, to go exploring, or to spread your wings, but Mars can also engage you in risky business. Mars in Aries can make you wilful, impulsive, extravagant, or ready to do battle or fly off the handle (especially March 11). Know the propensity for going or pushing too far, for expecting or spending too much is also within the range of possibility. Once Saturn in Sagittarius turns retrograde on March 14, you could hit a shift of perspective or objective. You can feel or see evidence of this switch track from March 11 to 18. Take it one step at a time and follow rather than lead. March 20, 21 sets you onto a fresh springboard. Finding your voice, your stride, your true essence or calling, this can be a wonderful time of personal discovery, renewal, reinvention, liberation, or independence. Mercury/Jupiter also helps you to harness more courage, confidence, and creativity. Start of the month is an opportunity cycle, thanks not only to Mercury/Jupiter but also Jupiter trine Uranus and Venus trine Jupiter. Don’t hesitate to speak up, to call the shots, and to go after what you want. Change, even radical change, can be easier to make now than at other times, so when your soul or the universe gives you the prompt, take it on fully. The stars are on a rapid move along. You should find yourself especially quick on the uptake. You could learn, hear, uncover, or witness something on the full moon in Virgo on March 5 that places you at an advantage or that inspires you, opens you up, or surprises you. Too, there could be a significant healing or repair opportunity. A talk, negotiation, or meeting can deliver more than you anticipate. A scouting mission could dish up a great bargain or something lucrative. It can be a great time to interview for a work position, reconnect, revisit, to top it up, to fill in a missing blank, or to pitch it again. A romantic interlude or a spiritual top-up suits the bill quite nicely too. The week of March 9 sets you on a race along too. This can be good news if you are in the throws of buying or selling real estate, or have some other major project on the go (a new baby, a new creative or financial venture, a hot new love or passion, a vacation or education track). Saturn’s turn to retrograde on March 14 could shift your attention or priorities. March 15, 16 can be a force-the-envelope, breakthrough, completion, or springboard day. March 20, 21 can also jettison you. Mercury in Aquarius keeps you buzzed up through the first two week of March. Mercury’s opposition to Jupiter on March 1 finds you especially game for adventure and big risk-taking. When the light-blub goes on, the inspiration, impulse, or opportunity hits, or the match strike flint, you aren’t likely to hold back a thing. You’ll be a speed bullet in action. Whether travel is on the roster or not, you certainly will cover the distance. Mercury/Jupiter is an instant hit, quick-on-the-ball, hit-your-mark aspect. It’s a great time for showing off what you can do. You’ll find your intuition, instinct, and wit to hit the fast track too. March 2, 3 are also great social and create-it opportunity days. You can also cash in March 4, 5 but there’s more struggle, inconsistency, uncertainty, or potholes to navigate. March 9 to 11 are also take-flight or over the top days. Mercury exits Aquarius for Pisces on March 12, Saturn turns retrograde on March 14 and March 15, 16 puts Uranus square Pluto into full swing. The bunch-up is sure to create a switch of momentum. You can’t push it; you’ll have to go along with it/take it in stride instead. Look to March 20, 21 and the solar eclipse to fire it up again. Health, wealth, or work wise, the start of the month could spark something new for you. You could stumble upon a great idea, a new avenue, or gain a sudden take on someone or something. Whatever it is, it could prove very beneficial or lucrative. Mercury/Jupiter can reveal a hidden opportunity, a secret admirer, or surprise advantage. This creative wellspring transit also sharpens your wit and intuition. You can easily regain lost ground; you can easily get your message delivered. A come-clean or a candid moment could fire up something more. March 2, 3 can see you excel at your work, studies, or efforts. These days can be particularly rewarding and success generating. March 4 can also be quite lucrative, but its complicated. The Virgo full moon March 5 should smooth it out quite nicely. Take your best shot March 9, 10 and then let the chips fall where they may. March 11 can be unpredictable, high stress, or full of the unexpected. Although Mercury into Pisces, starting March 12 can offer you a boost, the week is like to end much different than it started. Look to the solar eclipse weekend March 20, 21 to rev it up again.